Here's an overview of the projects I've worked on. 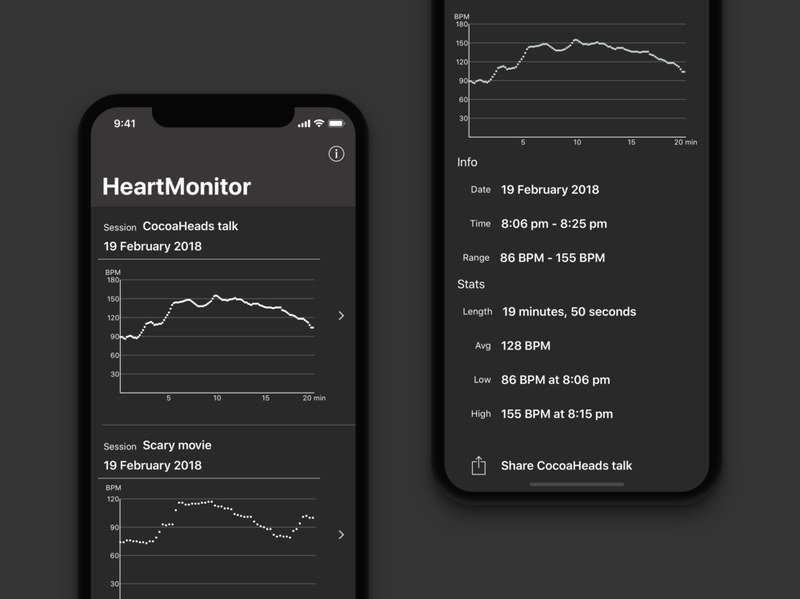 HeartMonitor is an app for for iPhone and Apple Watch that allows you to use the heart rate sensor in the Apple Watch to record "sessions" of heart rate activity - without having to start an active workout. The advantage of this is that HeartMonitor sessions have minimal impact on your activity rings. Petty is an app for iOS and Android that helps you find petrol nearby. Petty has up-to-the-minute petrol prices, updated as prices are changed at the pump. Daily Steps is an iOS app I've developed for a few years now. I like to think of it as glorified step counting, and it's my playground for all new iOS features. While the app itself is quite a basic concept, it has always been quick to adopt new iOS and Apple technologies including widgets, 3D Touch, an iMessage app, and an Apple Watch app, glance, and complication.